= Coelatura ratidota (Charmes, 1885). — Graf & Cummings (2011). = Coelatura ratidota (Charmes, 1885). — IUCN (2010). 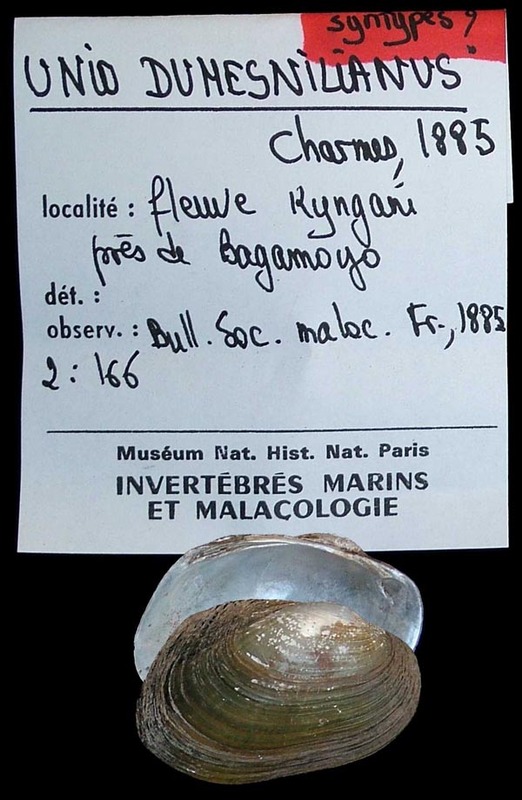 = Coelatura ratidota Charmes, 1885. — Bogan (2010). = Coelatura ratidota (Charmes, 1885). — Graf & Cummings (2007). = Coelatura ratidota (Charmes, 1885). — Scholz & Glaubrecht (2004). = Coelatura ratidota (Charmes, 1885). — Daget (1998). = Caelatura [sic] ratidota (Charmes, 1885). — Mandahl-Barth (1988). = Afronaia ratidota (Charmes, 1885). — Haas (1969). = Indonaia ratidota (Charmes, 1885). — Haas (1936). ‘Charm.’ Paetel, 1890, Cat. Conch.-Samml. : 146. Martens, 1897, Besch. Weich. Deutsch Ost Afr. : 225, pl. 7, fig. 20. 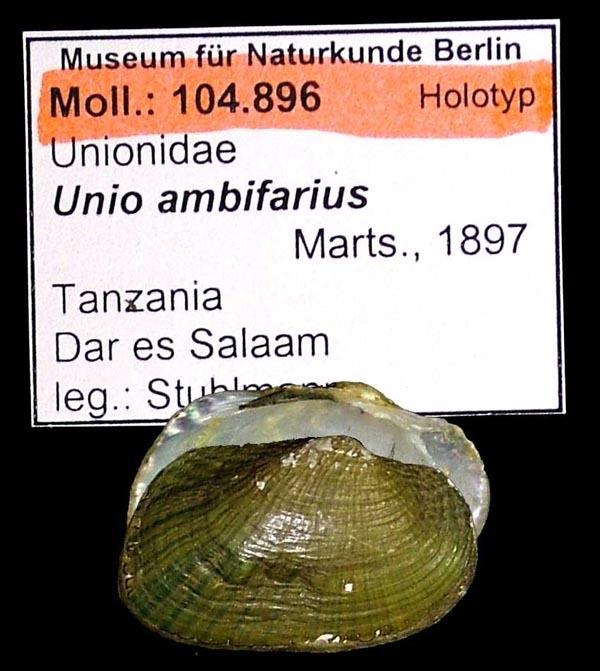 Type(s): HOLOTYPE (MONOTYPY) ZMB_104896, Tanzania, Dar Es Salaam. Kobelt, 1910, Abh. Senckenb. Naturf. Ges. : 84. Simpson, 1900, Proc. U.S. Nat. Mus. : 847. Kobelt, 1910, Abh. Senckenb. Naturf. Ges. : 85. Simpson, 1914, Descr. Cat. Naiades: 1130. Haas, 1936, Abh. Senckenb. Naturf. Ges. : 52. Haas, 1969, Das Tierreich: 190. Daget, 1998, Cat. 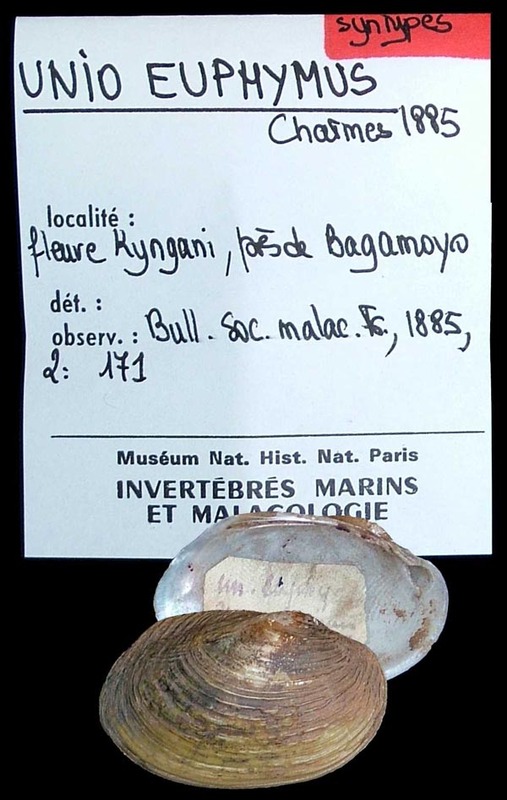 Bivalves Africains: 65. Nodularia (Caelatura) dusmeniliana Kobelt, 1910. 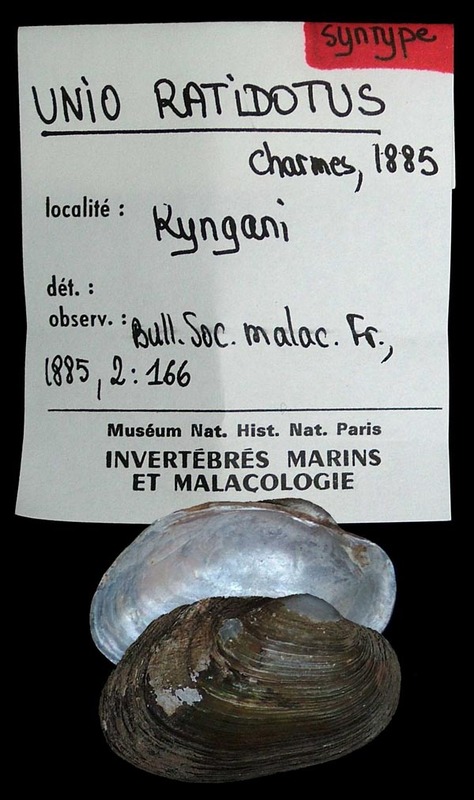 ‘Charmes’ Kobelt, 1910, Abh. Senckenb. Naturf. Ges. : 84. Nodularia (Coelatura) edoulxiana Kobelt, 1910. 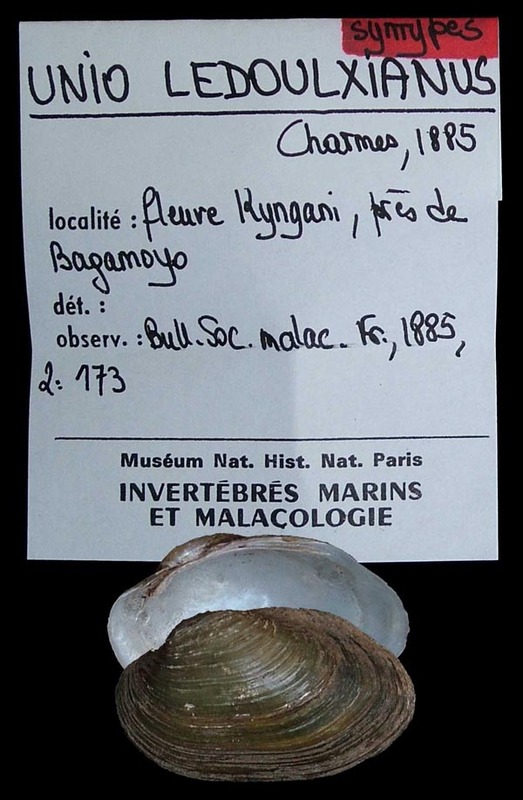 ‘Charmes’ Kobelt, 1910, Abh. Senckenb. Naturf. Ges. : 85 [as ‘ed oulxiana’]. Nodularia (Caelatura) dumeniliana Daget, 1998. ‘Kobelt’ Daget, 1998, Cat. 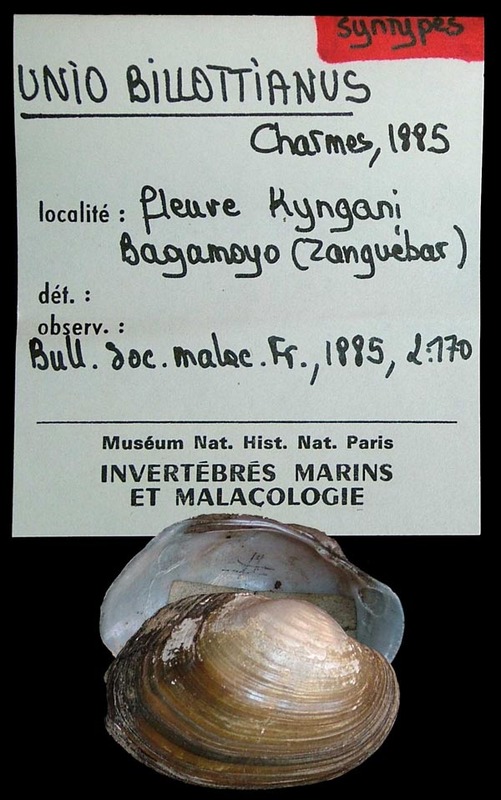 Bivalves Africains: 824.